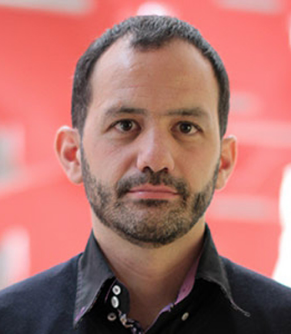 Omiros Papaspiliopoulos (PhD, Lancaster University, 2003), I am ICREA Research Professor at Universitat Pompeu Fabra and Affiliated Professor at the Barcelona Graduate School of Economics. Previous positions include Research Associate at Lancaster and Oxford University, Assistant Professor at Warwick University, and Professor at UPF. My research has appeared in the top journals in Statistics, and I have been an Associate Editor for the Journal of the Royal Statistical Society Series B, Biometrika and Statistics and Computing. I have delivered more than 80 invited talks, and have given courses at ENSAE in Paris, the Berlin Mathematical School, the Department of Mathematics at University of Copenhagen, and the Engineering Department at Osaka University. In 2010 I was awarded the Royal Statistical Society’s Guy Medal in Bronze. Beskos, A. Papaspiliopoulos, O. and Roberts G.O. (2009) Monte Carlo maximum likelihood estimation for discretely observed diffusion processes, Annals of Statistics, 37, 223–245. Yau, C, Papaspiliopoulos, O., Roberts, G.O. and Holmes, C. (2011) Bayesian nonparametric Hidden Markov Models with applications in genomics J.R.Statist. Soc. B, 73:1, 37–58. Chopin, N., Jacob, P. and Papaspiliopoulos, O. (2013) SMC2: an efficient algorithm for sequential analysis of state-space models J.R.Statist. Soc. B, 75:3, 397–426. Papaspiliopoulos, O. and Ruggiero, M. (2014) Optimal filtering and the dual process, Bernoulli 20:4, 1999-2019. Agapiou, S., Bardsley, J., Papaspiliopoulos, O., and Stuart, A. (2014) Analysis of the Gibbs sampler for hierarchical inverse problems. Journal on Uncertainty Quantification (SIAM/ASA) 2-1, 511–544.